Our Stoneleigh Class enjoys an enviable location at Meadow Primary School, providing a fantastic learning environment for each student to enjoy a host of musical theatre skills as well as covering dance, drama and singing. This class takes place each Wednesday afternoon and is attended by pupils of Meadow Primary and schools in the surrounding areas. 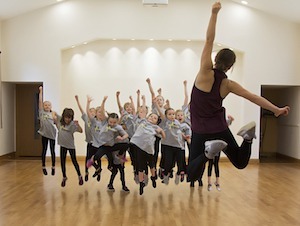 The Stoneleigh Star Steppers classes are creative and energetic and the pupils are dedicated and enthusiastic. 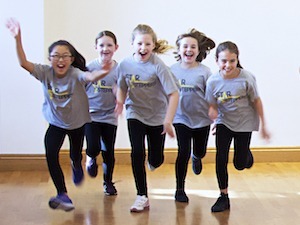 Through dance, drama and singing, under the expert guidance of Steve, the children experience a range of styles including street dance, musical theatre, jazz, improvisation, script work, solo singing as well as singing in groups and in harmony. Want to Try our Stoneleigh Class for Free? Lauren has a sparkle within her which Star-Steppers has helped nurture and develop. It has been joyful to watch her shine on a real stage as she performed in the last two summer shows. Lauren enjoyed performing on a real stage so much that she said “I want to do this for a job.” Anna’s fun loving personality brings out the best in the children and her love of teaching is evident. Wow, what can I say - The teachers and kids are amazing. Great class and the shows are fantastic. 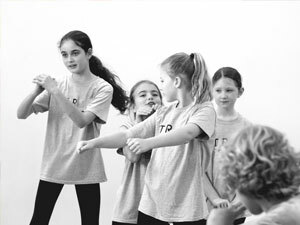 As one of longest running classes, Stoneleigh is well-supported by a group of dedicated students who are always keen to put on a show and learn new theatrical skills. 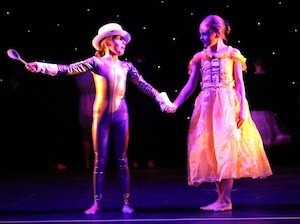 We pride ourselves on creating brand new work each term and this is shown at the wide variety of performances are put on by the class each year. If my child attends Meadow Primary, do I need to collect them in between? No, your child will be looked after between the end of the school day and the start of the Star Steppers class. The class is held at Meadow Primary School, and there are lots of places to park in the surrounding roads. Unfortunately there isn’t anywhere inside the school, where parents can wait during the class. We have recently divided the group into two, to improve class sizes and help to accommodate the various age groups who attend. Is the class only open to children who attend Meadow Primary School? No, lots of the children do attend Meadow Primary School but many come to us from other schools such as Cheam Common, West Ewell Infant School, Danetree Junior School and St Clements. Fees are paid half-termly, in blocks of roughly 6-7 weeks, according to school term-times. We send out invoices via e-mail and parents pay (preferably) online by BACS or we can also accept cash or cheque in class. Who teaches the Stoneleigh Classes? Steve Edwards and Lizzie Hill. Does our Stoneleigh Class sound like fun?